Estate Planning Attorney on Long Island, NY serving clients throughout Nassau and Suffolk Counties personally and professionally. Have you begun the estate planning process and need legal assistance? Do you have a will or trust in place to help protect your family and your assets in the future? Do you have an estate plan that has not been reviewed in a long time and could benefit from an update? Whether you are starting the estate planning process or need to ensure that your estate planning goals will be met with your existing plan, an estate planning attorney at The Law Offices Of Michael W. Alpert can help you. For assistance, call us today at 516-280-7288. WHAT ARE TRUSTS, AND HOW CAN THEY HELP YOU? While we cannot predict death or disability, estate planning is an important step you can take to protect yourself and secure your loved ones’ financial future. An experienced Long Island estate planning attorney can guide you in creating a fully detailed estate plan while still placing you in charge of all of your finances. Additionally, your attorney can save your family from stress and bureaucracy associated with managing your affairs when you become incapacitated or pass away. Estate planning can be very complicated in nature and requires good judgment. Hiring an attorney will help you achieve your goals. 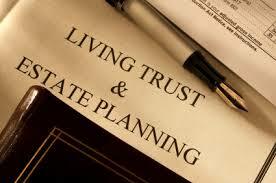 A Trust is an estate planning tool you can use in managing your financial affairs and controlling your wealth. It is a legal arrangement where you, as the grantor, assigns a trustee or third party to manage your properties for the benefit of your loved ones or beneficiaries. Trusts can either be revocable or irrevocable. A Revocable Trust, otherwise known as a Living Trust, is flexible and can be modified at any time should the circumstances change. It allows you to retain control of your assets during your lifetime, however, becomes irrevocable upon death. An Irrevocable Trust, on the other hand, is one where you lose control over your assets and once executed, you cannot dissolve or change the trust. Effective planning helps you prepare for anything that life may bring, especially when you become incapacitated. When this unfortunate situation happens, you will find it hard to manage your financial affairs. Most people believe that their family members can automatically manage their properties once they become incapacitated but that won’t be the case. In New York, in order for someone to manage the finances of the incapacitated individual, he or she needs to file a petition in New York Surrogate Court declaring the person is legally incompetent to manage your finances. This process can be time-consuming, complex and expensive. The person managing your finances has to go back to the court and file an annual financial report showing how they are spending your money. To avoid this complexity, you must designate a trustee who will have the authority to withdraw money, pay your bills, or manage your investments. Consult a reputable Long Island estate planning firm to assist you. While planning for your financial future is important, you should also create an estate plan for health care. You need to appoint someone who can make decisions on your behalf about medical treatment options when you become incapacitated. This process can be established by using a Living Will and Health Care Proxy which will clearly state your medical decisions. Your family and caregivers will be informed about your health care wishes should you become terminally ill or unconscious. A Trust is often used as a legal instrument to avoid probate upon death. Trusts, as opposed to Wills, are private documents that are not subject to the probate process. The probate process is a legally supervised procedure of administering your estate and transferring your properties pursuant to the terms of your Will after death. Trusts allow faster and efficient transfer of assets to the beneficiaries, while saving money and legal fees. If you draft a Will all of your assets have to go through the probate process which can be costly, time-consuming, and will be publicly exposed. The court will supervise the process until the estate has been settled and transferred. If you are married and have kids, you would want to make sure they have immediate access to cash savings to pay for their daily expenses as the probate court may freeze your bank accounts for weeks or months while your estate is being settled. Otherwise, your surviving spouse may need to file a petition to the court for financial access to pay for existing living expenses. With the help of an experienced estate planning lawyer, your assets will be passed on to your beneficiaries without having to undergo the probate process; thus, in a faster and inexpensive manner. The tax benefits you can get from establishing a trust will depend on the type of trust that you set up. Typically, irrevocable trusts can provide you significant tax benefits, however, can draw you from having total control over your real estate. An estate planning attorney can help you help you determine which type of trust will satisfy your needs. Why Hire a Local Estate Planning Attorney? Estate planning attorneys have a comprehensive knowledge of establishing a living trust and complete understanding of the probate process in New York. Your attorney will help you ensure that your final wishes regarding the transfer of ownership of all of your properties as well as your medical care will be carried out. Your attorney will also be familiar with the local Long Island area court system and have knowledge of the estate laws that are essential to crafting a well thought out plan for your family. Additionally, your attorney will help you see a clearer picture of the potential needs of your surviving family, making sure that their needs will be met. Located in the heart of Garden City, NY the trust and estate planning lawyers at the Law Offices of Michael W. Alpert serve clients throughout Long Island. We have extensive experience helping local clients utilize trusts as tools for accomplishing their estate planning goals. For a free consultation call us (516) 280-7288. Our office is conveniently located in Garden City, NY.